It is disputed amongst the SEO world as to which types of backlinks are more valuable, and this is made even harder to understand when even the big shots at Google won’t even give a definitive answer. However, it is widely believed that backlinks from .gov sites are more valuable than other domains purely because they come from government websites and these websites are not only maintained regularly, but they are also highly valuable to readers. So how can you go about getting the holy grail of backlinks? Let’s take a look. This is one of the easiest ways to get a .gov backlink for your website or blog. All you need to do is write an article about a specific politician or government agency and then let them know about it once you have published it. Although this doesn’t work all the time, especially if you try and get links from high up agencies (getting .gov links isn’t all that easy), often you will receive a response and a link to your article on the government website. Voilà, that’s one extra .gov backlink. This is a guaranteed way to get a .gov backlink, or at least you have a much higher chance of getting one than with option one. If you manage to get a government contract you will find that the agency who hired you will issue a press release, and in that press release will be a mention that you have started working for them – with a backlink. Believe it or not, there are some government sites that have a regularly updated blog which allows comments. This will take some time to research but it is definitely worth it if you can find some. Most of the blogs you will find are “no follow” however there are also some “do follow” blogs dotted around too. Either way, the link is definitely worth it, so make sure you post relevant comments! One thing that many people don’t realise, is that there is quite often a tourism section on the .gov websites. For example on the NYC.gov website there is a tourism board which tells people about special offers and attractions that are happening in the city. If you know of any special deals for tourists make sure to let the site know… you will be repaid with a backlink! And finally, if you run out of options in your home country, why not look into .gov websites in other countries. China and the United Kingdom both have .gov domains as do a number of other countries in the world. They are also easier to obtain than on the American site as there are less people trying to obtain backlinks than in the United States. If you take a day to focus on getting some .gov backlinks, you are sure to be rewarded with at least one. Good luck! Do You Know How Many Authority Backlinks Your Competition Has? What Should I Emphasize Ranking for? I like the part about Tourism Boards. Definitely worth checking into but not easy to get a backlink from the government unless you can make them look better or stronger than they are. great article for sure, i did get a few gov back links and have started noticing a climb in visitors to my site. Can’t tell for sure if was the cause but at least did not hurt my traffic at all. he he he. I am also looking for .edu backlink for my site. I tried many times to get backlink from .edu but never success. Awesome. Gonna try to get one now! nice..post..But it will be more nice if u will provide some websites name.. Thanks for providing some tips of getting back links for website. Well, those were good valuable points to get quality backlinks. How to find the do follows please? and any advise for going viral, especially for photo sites like mine? No one knows… Its only guess of people. now i know that link form .gov is very valuable for a blogger like.. thanks i lot. where we find do follow backlink for gov domain..? I use the tool SEO for firefox which shows the connected .gov,.edu links to a website.When I check for some website for .edu links,I find a big number like 30,345 pages.But I have been submitting my website to different directories,blogs and articles with keyword luv and also to .edu,.gov websites without any luck! !I have just 9 .edu and .gov links.Any comments how to improve?? Nice article will be on my list as well. Thanks for all of the help. thanks for sharing, if you can list some website domain, that should be better. Never in my dreams I thought of getting a backlink from a .gov website. Well ! here you are to give me hope and even to the extent of how to do it. Good job done mate. Keep up the great work. I think getting backlinks from gov, edu and other top level domains is so difficult. I tried a lot but never succeed. Thanks for your tips, i will try it. Has anyone found a do follow .gov blog where you can comment? Thanks for the advice, I’ll getting my blog a pr3. It seems like gov and Edu are not so powerful as before. does it ? Well, those were good valuable points to get quality backlinks. keep up the good work. Very Nice Post. Good work you have done! Good information here, i will try this method. Thanks. Great information. I did smile at the part about a Government Contract. If I could get a Government Contract I wouldn’t need backlinks! LOL. Do you have any site to create some backlinks? Anyone know of a list out there for .gov or .edu sites? Don’t think anyone would give the list for free. But I thought i would ask regardless and maybe get lucky. And i agree with Calvin, if i had a government contract I wouldn’t need backlinks LOL. But you don’t think it will be coz of Google penalize not to get relevant links ??? Very handy advice, thanks. Some countries even list a directory of all their government blogs to make it extra easy! Is there a way to find out if a comments section is follow or no follow? Since Govt job alert service is related to Govt Org so it will definitely help my site increase my page rank. Thanks a lot for your valuable information. You are genius. Great post. Will give it a try. Please tell that how to search such type of blogs in google ? Thanks, Thats works, But i have a question, We all knows that google recently updated Penguin. it detect irreverent links. If a site is not related to Education or Government then Google can penalize for .edu/.gov link. yes or no ?? I want to how to get gov links available. Thanks for the tips. Those backlinks are not easy. thank you for the information. i will try yout methods. Inspirational! Absolutely brilliant and comprehensive enough. I have known about .gov backlinks but have not given it much consideration until I read this. I shall try these techniques. I ike the idea of commenting on .gov blogs and the tourism board idea. I will surely implement these. 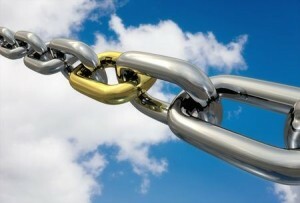 I love and like to get backlinks. OK, I want to try it. Tanks for your share. thank for the good info..so easy to understand.. I can see why people would think that .gov would be worth more on the seo front. But that is a very limited view of the world, .gov is purely the US Government and the other 193 countries of the world is not likely to see the same value in its content. If search engines do rank it higher, I hope they take the visitors location into consideration. Nice article. I’ll try a few of these techniques out. @ Wayne- The OP clearly states that .gov backlinks can be obtained from China and UK government sites. If you are not from the US, UK or China, I would think that your own country’s government pages would probably be a credible source for a backlink. how can i find .gov backlinks? Great article, wow apparently commented on the government’s tourism website can get backlinks, gonna try to get one now! I’ll check out the governement blogs since they seem to be the easiest to get, right? Does every backlink comming from a gov website have the same link juice? I enjoyed this article. Gov links are clearly useful but I think the best option is to go for Tourist Board links that are relevant and valid. Google will crack down on the .gov goldrush eventually. i dont see gov link is better than other tld for seo. Getting a government contract may be one of the hardest things on the planet to do, unless you’re a minority or some other protected class of business. I certainly wouldn’t pursue a government contract for the purpose of getting a backlink – bad ROI. However, getting a government contract for the sake of having an audience with purchasers who buy lots of stuff may be worthwhile. It will take you lots and lots of time to get through the bureaucracy. Interesting info however I think that the ‘no follow’ is not as important if you are looking for users and not just backlinks. I made a couple of comments on a well known IT blog many years ago and people still click on average 8-9 times a month on it looking for content in line with the comment I had made. We concentrate to much on links for Google instead of looking for users. I loved the ideas on this blog. It was real insight into how easy a difficult task can be. I am going to try the tips and see where it gets me. I have high hopes. Thanks again. you said it correct ! I often try to get back links from comments post of these website. But, after putting 100 of comments, getting a single backlink. It is really hard work but I hope tourism board will be better option rather. Thank you for suggestion. Some people have high PR ranking without Gov.or edu, just wonder how they do it? Frankly i need all the help i can get so will try these back links. Thanks for a great post. I just listen from other bloggers their is one special script about finding the gov links.. ? Is it true ?? Going to try this and see if it works. Thanks, this post save my day ! I am going to try for the tourism part of this article. I guess that should be easier than the rest of the section in this article. amazing facts and one should must consider. Thank you about the mention of Chinese .gov sites. I know Chinese language so it would not be that difficult! Great tips… definitely going to try the tourism part! Thanks! Well, Getting a GOV backlink is difficult till you actually are into working with them. The tourism part is surely a new thought and that helps me as my company is also into SEO and Social Media Marketing. Really It is needed for all. Very good article. I am trying to find gov backlink but not succeed yet. i still not understand about that ? ? Can you give some list or url ? Very good information, definitely will be using this. Followed your advice, and found it to be most useful. Thanks for the post! A backlink from .gov site is very good, is increase site trust, and site is not in sandbox. But I don’t know how to get it. Any one can help me. How can I create a backlink with government site as I’m working on a sports blog? Very Nice Post. Banyak orang yang mencoba mendapatkan backlink dari .gov .edu dan sebaginya, tapi tidak semua orang tahu manfaatnya. it is still a bunch a usefulknowledge, three years after the publication! mmmm.. Brilian idea, this is helpfull for creating themes. But i thinl flash cms not recomended for web design. How about html5 css 3. Thanks for flash cms solution brother .. Thanks very much for such an info. I have never thought of that before but will start considering commenting on relevant .gov blog in my country. Good information for a beginer like me. I will try it. I always get to know the importance of backlinks from gov. sites through such great articles. But, never got success in getting one. Methods explained in this article is new for me, except the one related to blog comments. Nice read though. Keeping my fingers crossed…;) Waiting to get one such backlink..
Great Post. It is not easy to get a .gov or .edu link however i like the part of having a juicy backlink from tourism blog. Thanks for sharing your great idea. A good way to get a link from a Government website is to embed a Google Map with places of interest on the map and ensure that the map is associated with the same country as the Government. Again, it’s great to “Get a Power .gov” link, but it should be relative to your content and not spammy. There will be no intrinsic benefit without that in mind. This is nice that i found this post. thanks for sharing. i will try to get .gov backlinks ASAP!! I was always wondering how SEO experts get backlinks from .Gov sites which I still couldn’t figure out but there must be some ways to get links. I will try your methods and hope to get few of them. This is a great article! Good valuable information. Though i think this might not work with any type of website. (To get links from the government, you have to have a valuable website anyways, i think, so it might not work with affiliate websites for instance..). Definitely I will also try this and hope it works. Very nice article with useful information. As this post has good ideas for link building. Thanks for sharing valuable article. Please advice .Edu backlinks building sites? This is really a important and helpful piece of work. Thank you for sharing such stuffs. What about .edu links?? This is a great post! I didn’t even think about using the knowledge about local state attractions to get a backlink. I live in the Yosemite area and people are always looking to go off the beaten path! Thanks for this post. it has given me food for thought and I will certainly be trying out some of the suggestions. I was looking for some tech news blog that has .edu or .gov domain extensions…I loved the timing of this post…..I’ll certainly try the first 3 methods for sure….thanks for sharing. but how i know that is dofollow .gov backlink or not? An old and even actual post, its true, I got my site linked by a gov site, i think by the local information published here. Thanks for this informative post. I was looking for some effective path to connect my site with government page. Have a wonderful time.